It’s time for a midweek edition of the Bike Carson Photos of the Week! 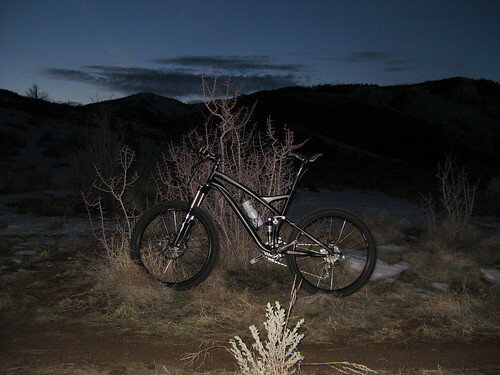 The first photo is a spectacular shot of a cold winter evening in Ash Canyon from Scott Meikrantz. Nice work Scott! Here’s another photo from Scott Meikrantz of Ron Peck climbing the 7 Steps trail in Ash Canyon. This short little connector trail has been stubborn giving up its snow cover. While most of the other trails are nearly dried out, this trail is happy to sit there with several inches of snow still covering it. The third photo from the Bike Carson photo pool was submitted by Randy Richmond from Portland, Oregon. 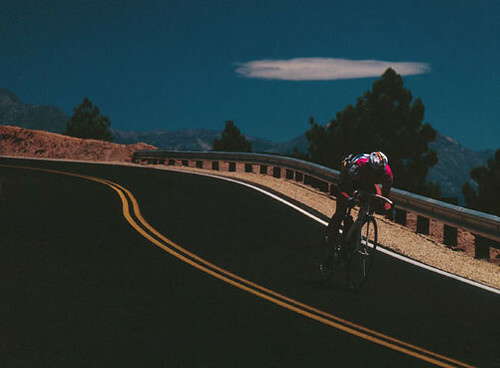 The photo was taken on the Virginia City road, one of my favorite areas to ride road bikes. Rolling mountains and big, fast, sweeping corners make this ride very exciting! 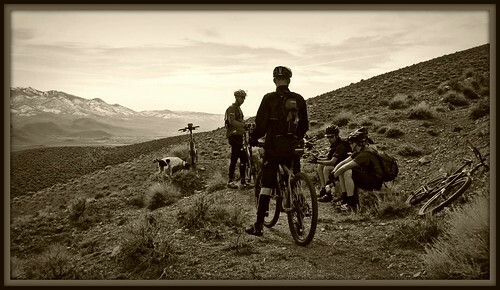 And finally, here’s another photo that I took from our recent ride out at Iron Mountain. Although it’s a very colorful place, it’s also presented well in black and white. This one has a sepia tone to give it an Old West feel.